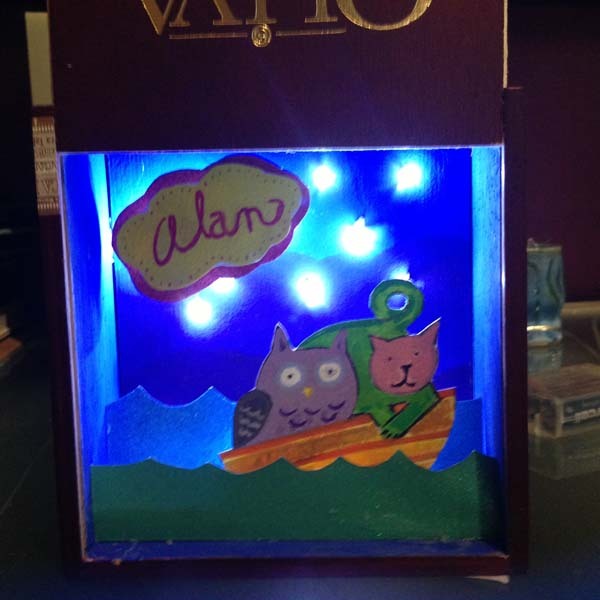 This is the Cigar Light Box I made for Alan’s birthday. It’s the Owl and the Pussycat. 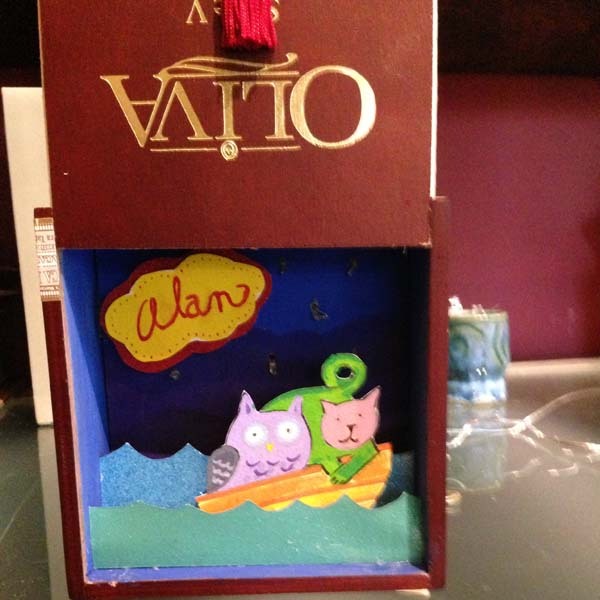 I was going to make it a paper moon over a cardboard sea but I guess in the end, I wanted an owl and pussycat in a boat. I got these “Fairy Lights” from Amazon. They’re teeny, tiny and people use them for floral displays and decor for fancy pants events like weddings.